Ichthyologists say it is high time that India revises the list of fish that it is importing if it wants to protect its local varieties from alien, invasive species. Their comments come after an alert was sounded in Pune due to the discovery of an Alligator Gar, a predatory North American fish that can grow to 8 feet, in the city’s Pawna dam. For those wondering as to how a fish found in the American Deep South’s lakes, creeks, bayous and the mighty Mississippi river could have made its way to Pawna, the answer is simple: The aquarium trade. “The logical explanation behind the appearance of this North American fish in the Pawna dam is that people buy such fish for home aquaria without realising the size they grow to. Once that happens, they release the fish in the nearest water body,” explained Steve Lockett, Education and Outreach Officer, Mahseer Trust, who works on the hump-backed mahseer of South India. And it is precisely this fact, say ichthyologists, which should be reason enough to revise the list. “We know that there are a lot of piscean hobbyists in India. Moreover, the aquarium trade is big business. What must be done is risk analysis before allowing such species in. Fish like the Alligator Gar should not be promoted. A revised list should be drawn up,” says A Biju Kumar, Professor and Dean of Sciences, University of Kerala, Thiruvananthapuram. 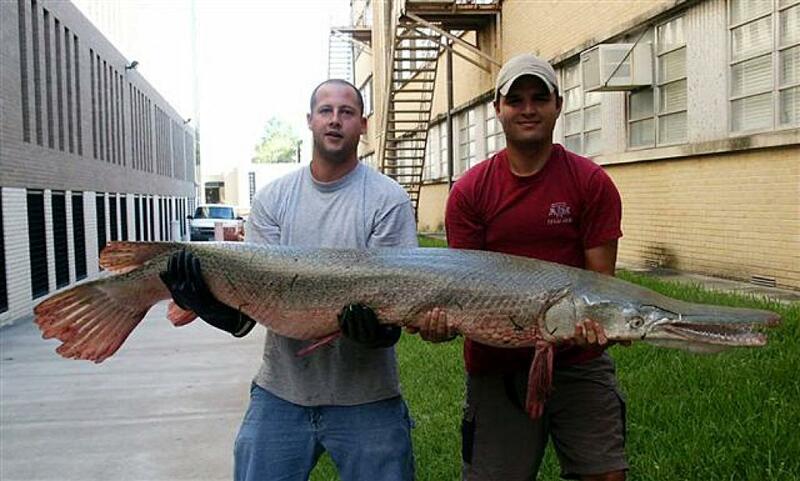 In fact, the Pawna incident is not the first one involving the discovery of Alligator Gar. Similar incidents have been reported in the past few years from Mumbai, Kolkata, Bhubaneshwar, Telangana and Andhra Pradesh. The latest place where it has showed up is Kerala. “The deadly floods of August have caused alien fish being reared in fisheries in the state to escape into local water bodies,” says Kumar. And that could have catastrophic consequences. “When you release any new species in an alien environment, the theory of invasion says the new species will fill an ecological niche in the environment. It will do so by breeding exponentially so that there are maximum chances that it survives and secures its place,” explains Lockett. In the case of the Alligator Gar, this is magnified by the fact that they are not of much use to humans and are also apex predators. “They have the ability to ruin everything. They are predatory. Their meat is not very palatable. Their roe is poisonous. You can’t do much with the fish. The skin is like a hide. It will cut your hands. The mouth is full of teeth. They will kill anything that they can overpower, whether it be fish or even baby crocodiles and other aquatic wildlife,” says Mathen Rajeev Mathew, a wildlife consultant who works with the Centre for Innovations in Public Systems or CIPS, Hyderabad. The Alligator Gar is one of a number of invasive species of fish that have been introduced to Indian waters in the past few years. “Other invasive fish in India include the red-bellied Pacu, the red-bellied Piranha, African Catfish, and Asian Carp,” says Mathew. “I am currently studying the African Catfish in the Cauvery river and I can tell you that they are causing massive damage to not only the river’s biodiversity but also to fishermen’s livelihoods,” says Lockett. “The issue of invasive fish species has been badly handled by the Indian government. Till the 1970s and 1980s, large river systems like the Ganga and the Yamuna were home to native fish species. Today, there is more Chinese Carp and Tilapia found in them than endemic species. In a dying river system, alien species will rule the roost,” says Kumar, echoing Lockett’s argument. Lockett and Mathew also feel that the enforcement of laws is extremely weak. “We have a whole set of laws on alien species. The Biological Diversity Act, 2002, itself talks about not importing any such species into the country. And here we have this fish popping up in places,” says Mathew. “Unfortunately, laws are ignored. There is no enforcement,” says Lockett. Are alien fish a reliable indicator of river health?